The concept of density dependence represents the effect of changing population size on demographic rates and captures the demographic role of social and trophic mechanisms (e.g. competition, cooperation, parasitism or predation). Ecologists have coined more than 60 terms to denote different statistical and semantic properties of this concept, resulting in a formidable lexicon of synonymies and polysemies. We have examined the vocabulary of density dependence used in the modern ecological literature from the foundational lexicon developed by Smith, Allee, Haldane, Neave and Varley. A few simple rules suffice to abate terminological inconsistency and to enhance the biological meaning of this important concept. 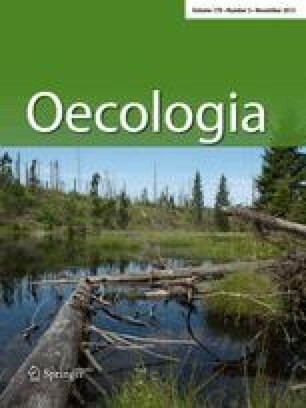 Correct citation of original references by ecologists and research journals could ameliorate terminological standards in our discipline and avoid linguistic confusion of mathematically and theoretically complex patterns. The online version of this article (doi: 10.1007/s00442-012-2347-3) contains supplementary material, which is available to authorized users. We thank R. M. May for encouraging the publication of this study; L. Berec, A.A. Berryman, T. Coulson, R.P. Freckleton and P. Lundberg for helpful comments on an early version of the manuscript; C.R. McMahon for his stimulating viewpoints. Funding was provided by an Endeavour International Postgraduate Scholarship (University of Adelaide) to SHP, and by an Australian Research Council Discovery Project grant (DP0878582) to CJAB.